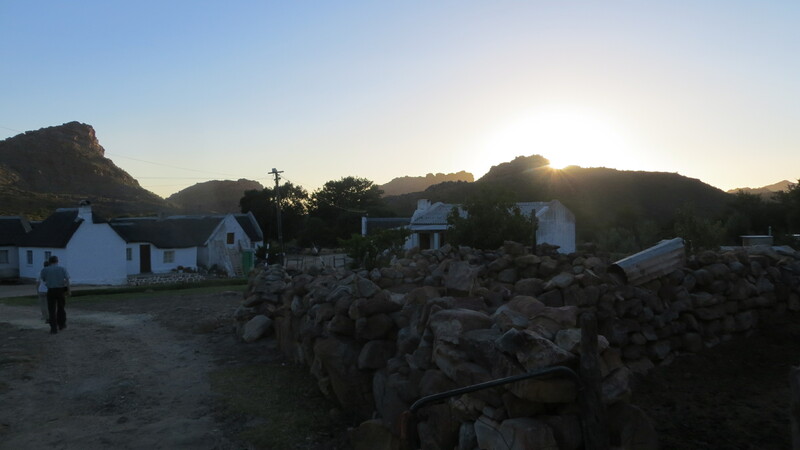 Predicted to be the hottest day of the trail, once again we opted to start early to tackle the 15 km to Brugkraal. 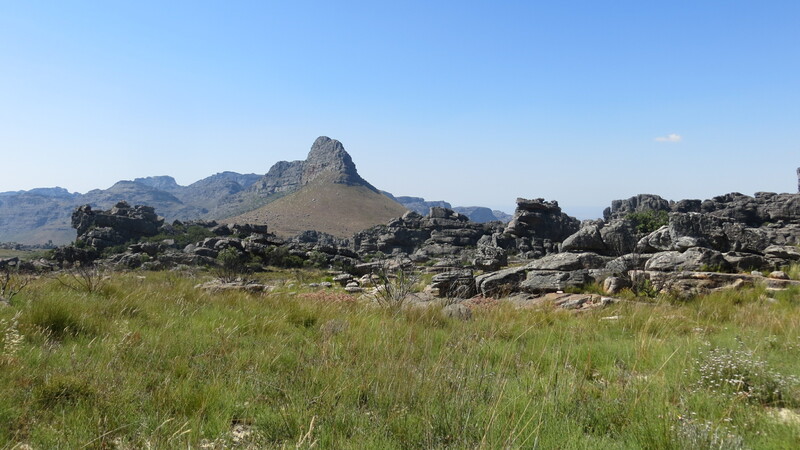 The short route along the road would only take a two or three hours, so the walking path takes a detour that will take us via the Boontjieskloof mountain hut. 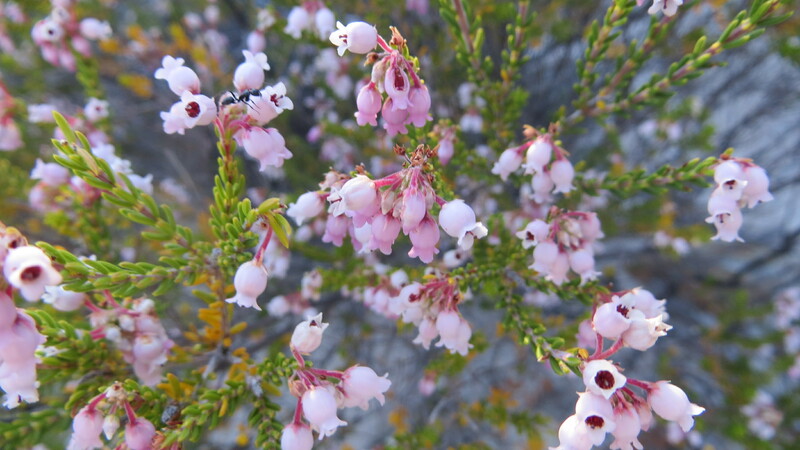 It was a gentle start along the road before a turnoff took us on to an old jeep track that was once a road. 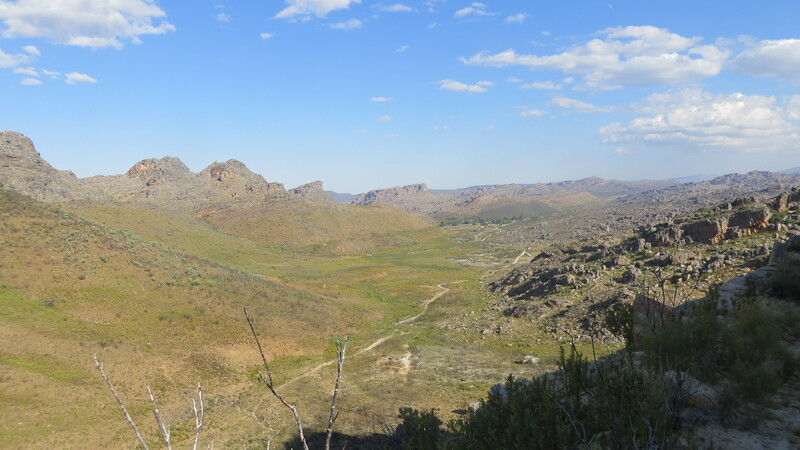 One is continually reminded that the pioneers who travelled the area in the early years built roads and tracks over terrain that would challenge today’s engineers. 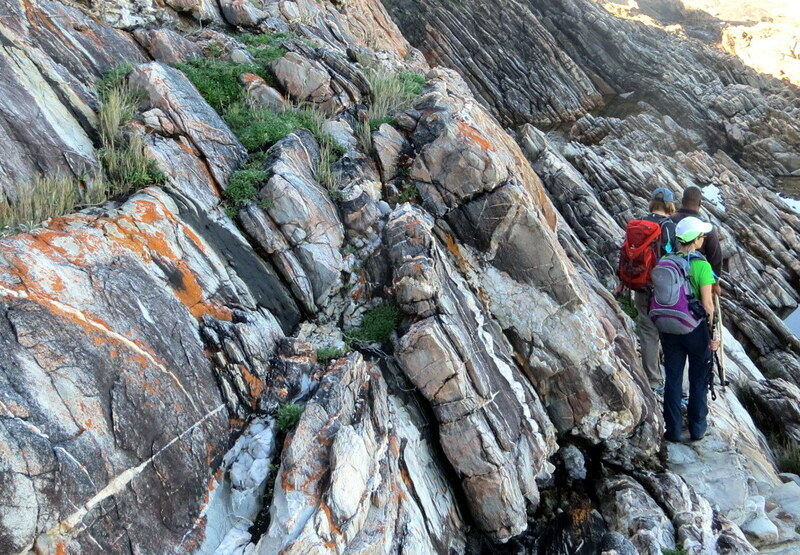 As easier routes have been found the old ones have become ‘off-the-beaten-track’ hiking trails. 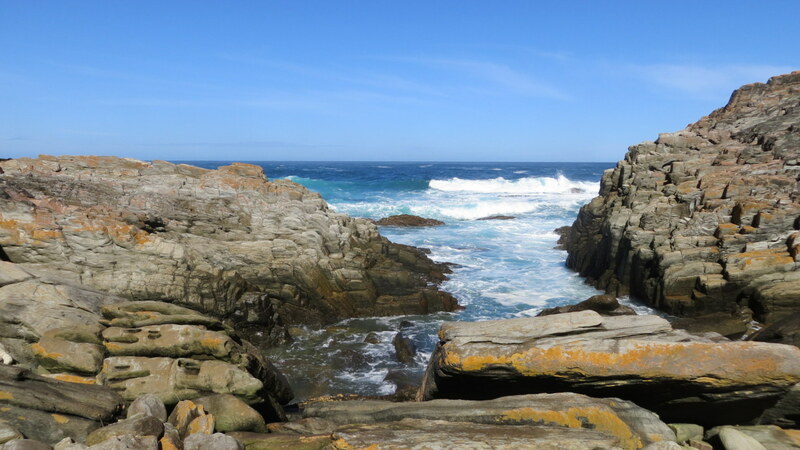 By this time we were immersed in the on-going beauty of the area and the constant changes in the terrain and rock formations. 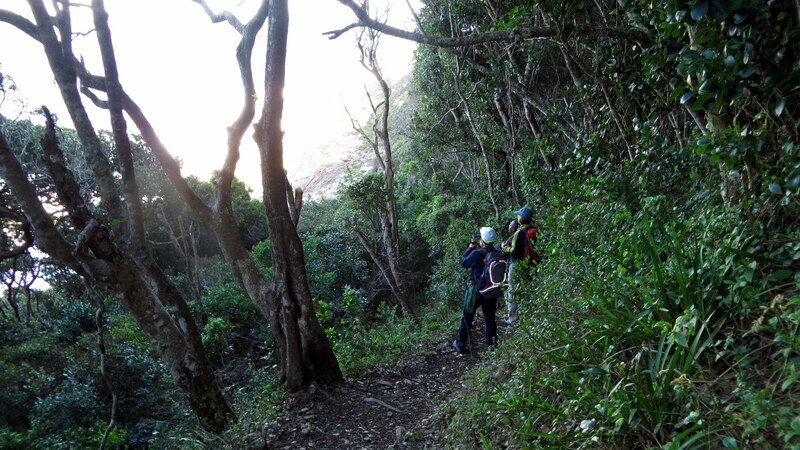 The trail winds slowly up, with a few short climbs and drops and constant changes in vegetation. 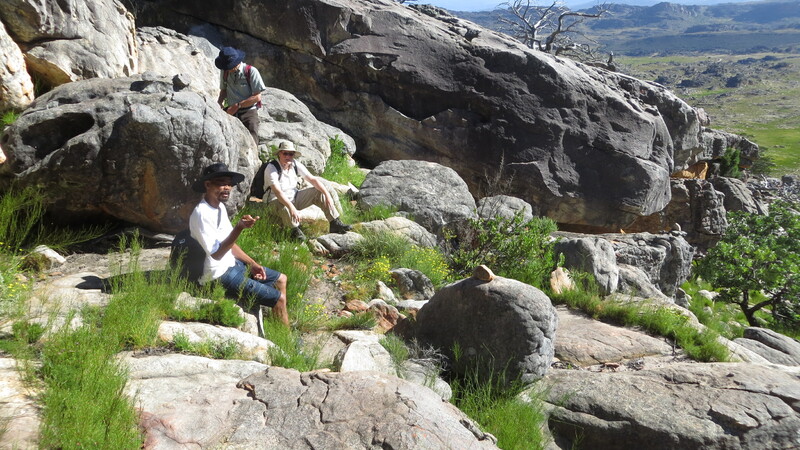 During rest stops Riaan keeps us entertained with stories and his slightly off-beat sense of humour. He has a wonderful talent for this and should develop this. 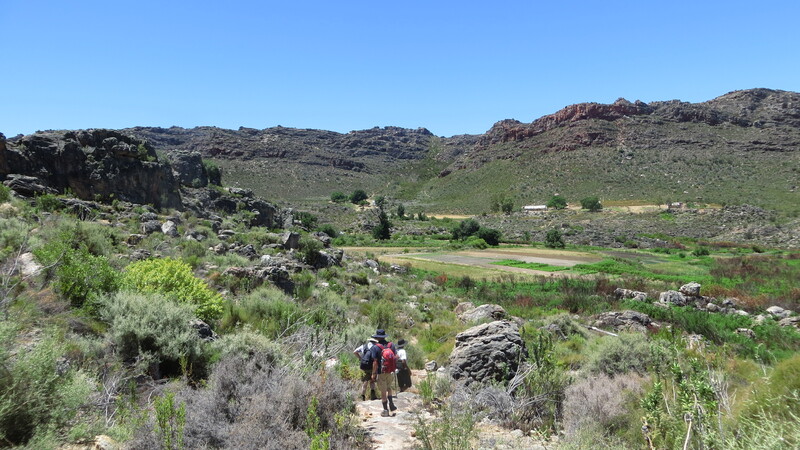 We arrived at the Boontjieskloof overnight hut by lunch time, to find it a hive of activity, with a scout group having taken occupation for a few days. Nevertheless we were welcomed by the scout leader who identified the best swimming spot on the river for us. 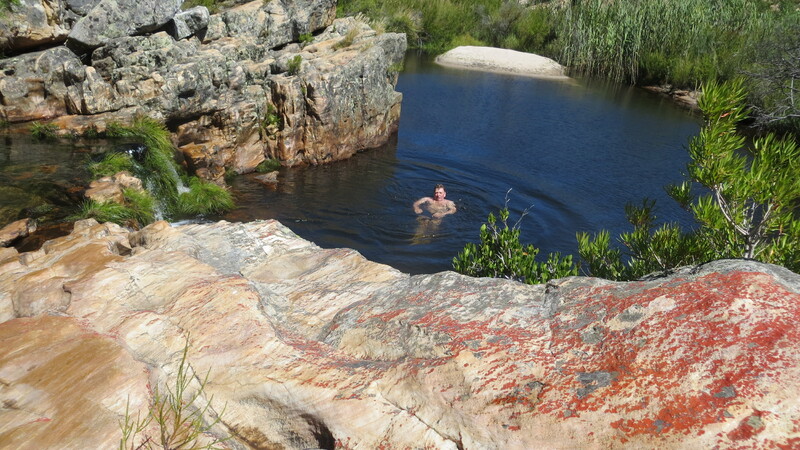 It was welcome relief to plunge in to the cool water of the Boontjieskloof River. 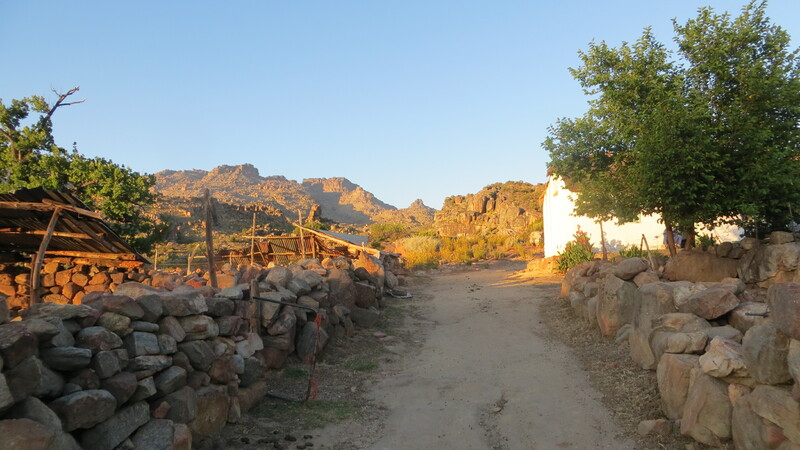 By this time the day was warming up considerably and we were pleased that the afternoon walk took us down in to a steep shaded gorge, with tempting swimming pools leading to the small settlement of Grasvlei. 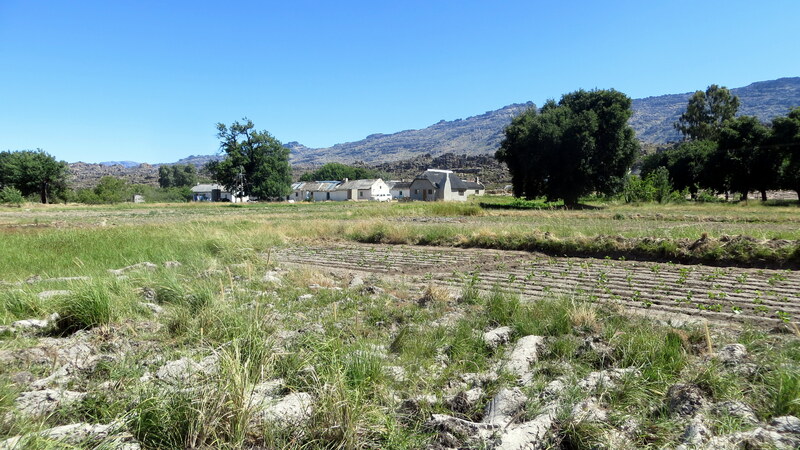 Riaan informed us that the water from this area was used directly for the settlement and that swimming at this point was frowned upon. 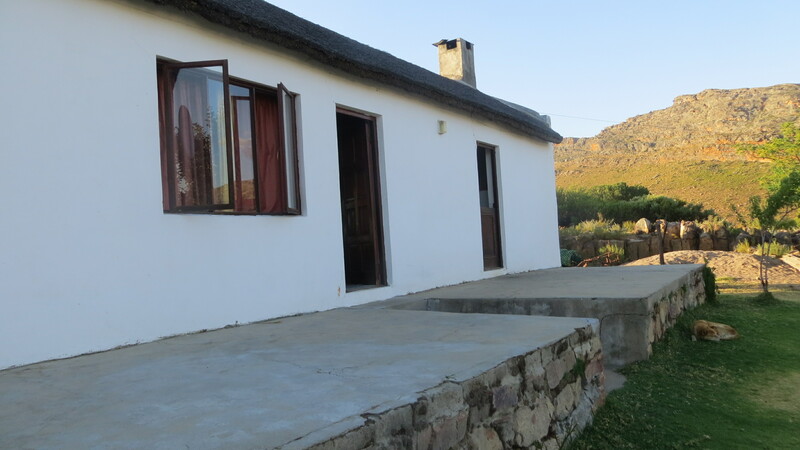 From there it was a short walk along the road to Brugkraal and our delightful overnight cottage, which we reached by about 2.30 in the afternoon, pleased that we had made an early start, as temperatures had begun to climb once more. 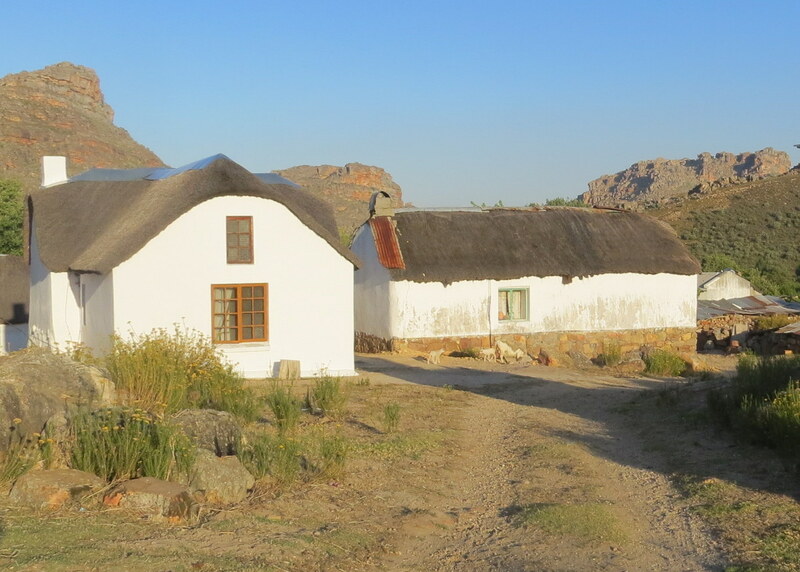 Again we were welcomed with true Cederberg hospitality and quickly made to feel at home. 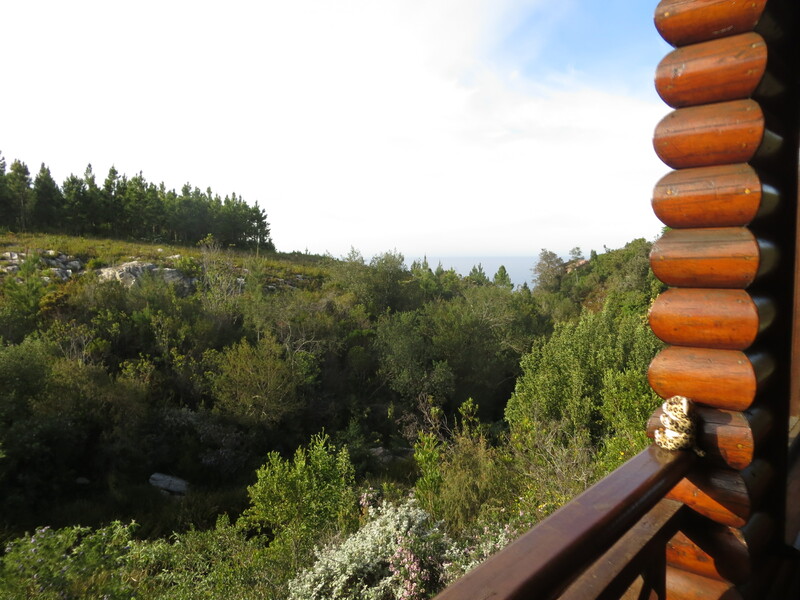 Once we were settled in, our host left us to tend to our evening meal and we were happy to shower and relax for the rest of the afternoon. Later that evening our hosts arrive with pots, bowls, plates & dishes. Suddenly a table full of delicious dinner was laid out, roast chicken, lasagne, salads, sweet potatoes and more. If anyone has the idea of losing weight on this trail, it is not to be. 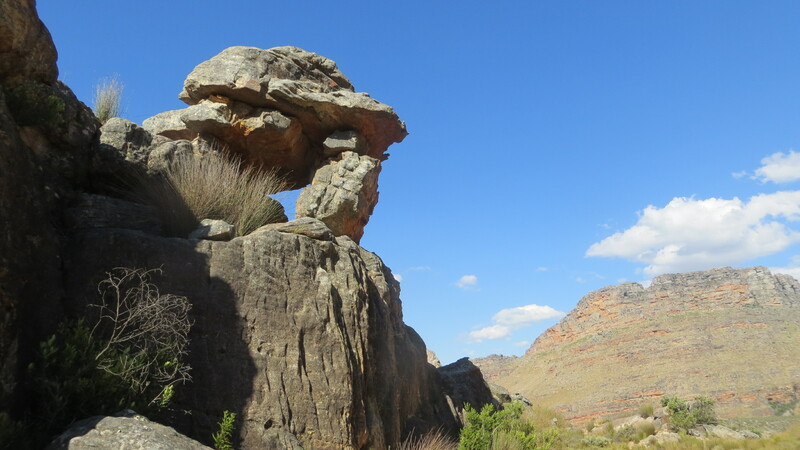 The gathering point for all of the Cederberg Heritage Route Trails is Clanwilliam, an easy three hour drive from Cape Town. 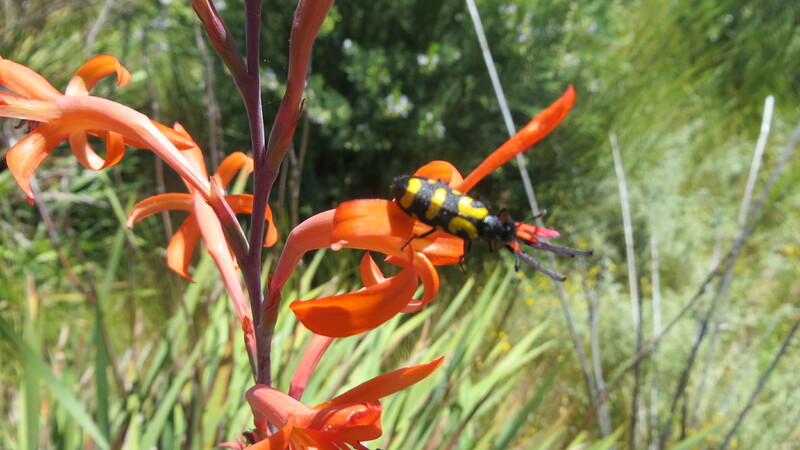 We gathere at the Yellow Aloe – a real oasis in what can be a very hot Clanwilliam – and were treated to an excellent light lunch. 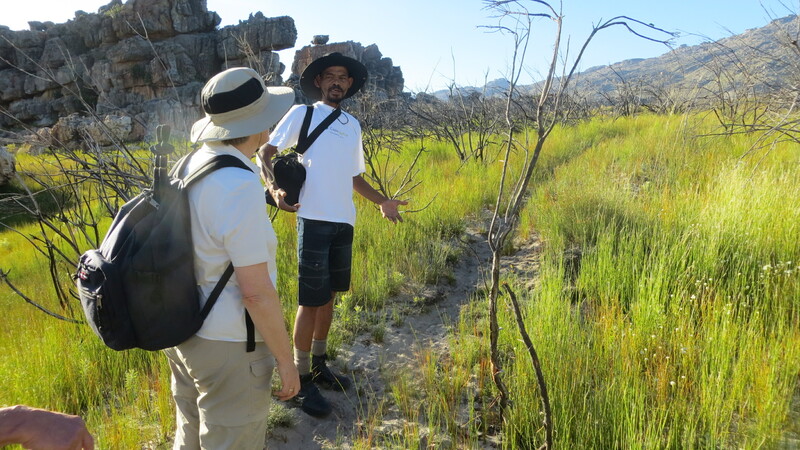 This was followed by a trail briefing by Cederberg Travel, the organisers and co-ordinators of the Cederberg Heritage Trails, before being piled in to the transport vehicle for transfer to the start on the Pakhuis Pass. 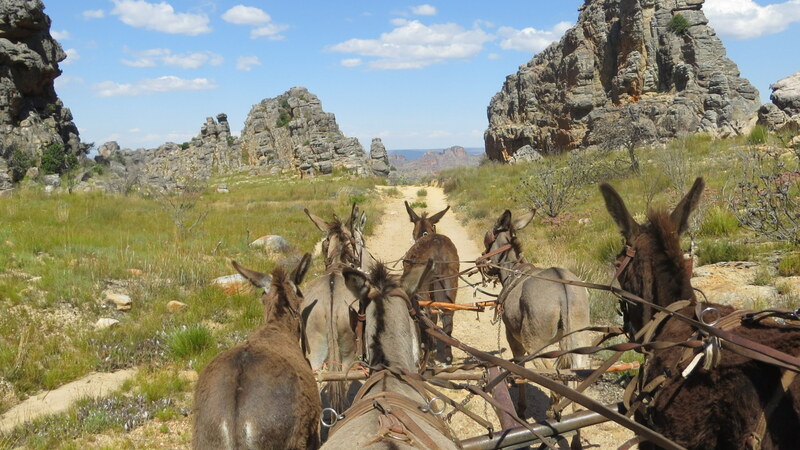 There we met Gert our cart driver and the six donkeys, Trapnet, Satan, President, Tryna, Beaufort and Willem, plus Jonas, the ‘sparewheel’ and back up. 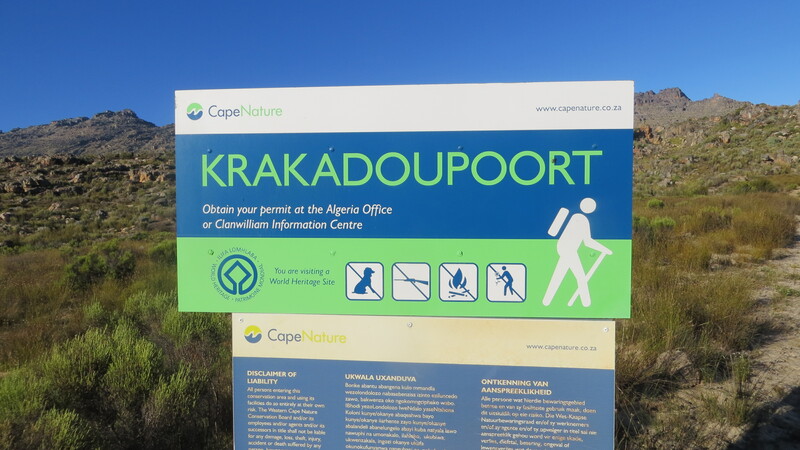 They would be transferring our luggage to Heuningvlei, with option for hikers to ride on the cart or walk the trail. 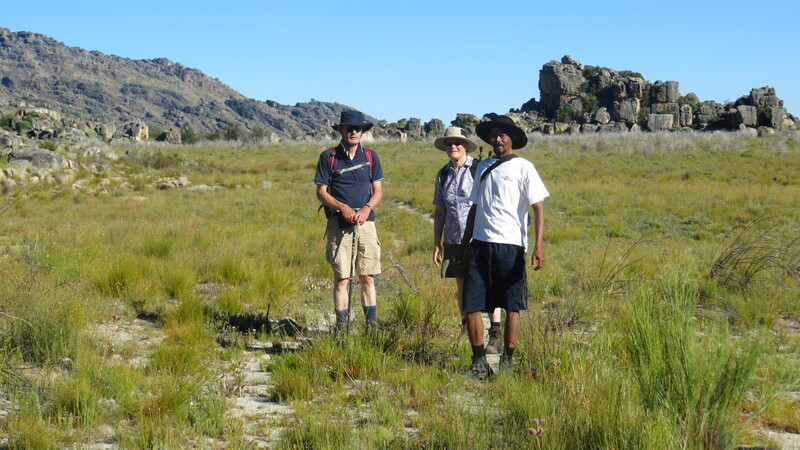 Having been sitting all the way from Cape Town, we all opted to start the trail on foot and the cart went ahead of us with the luggage. 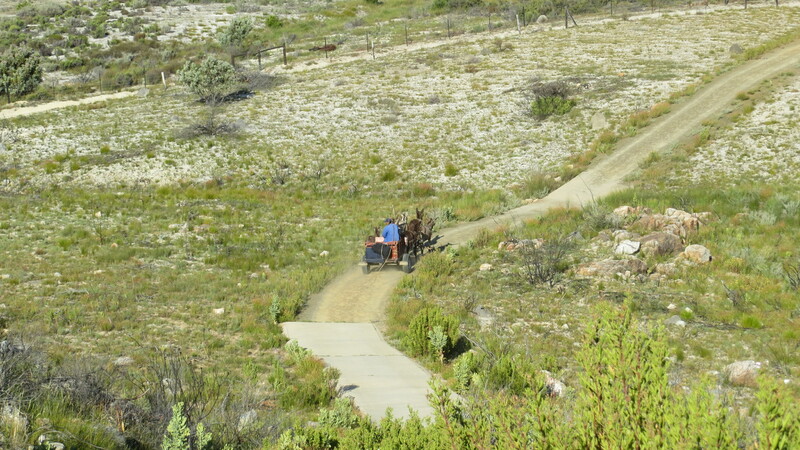 This section of the trail follows an old jeep track that is no longer in regular use, but is suitable for the donkey cart to negotiate at a reasonable pace. 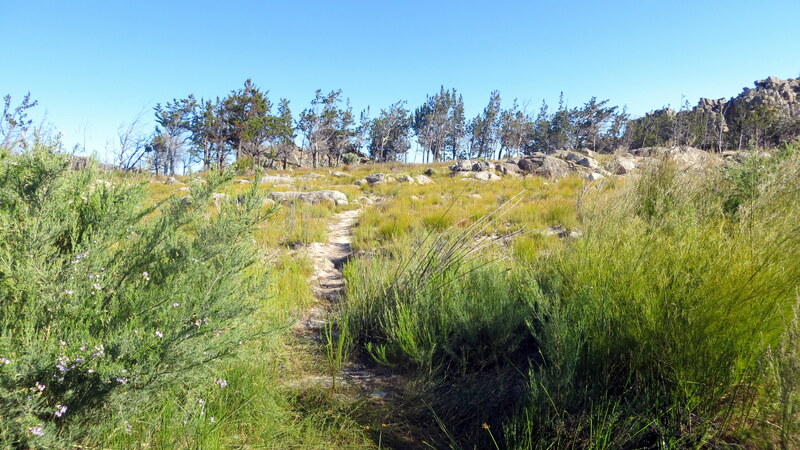 Within a few hundred metres of the start of the trail it is easy to forget that there is a tar road in the near vicinity. 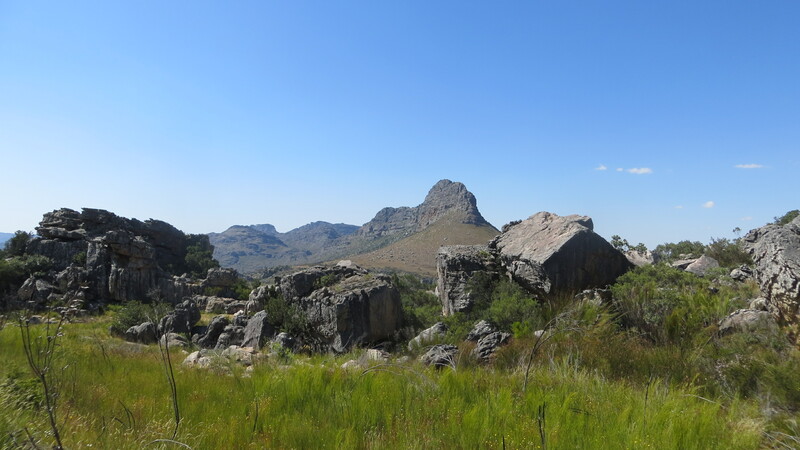 The rocky outcrops, randomly balance boulders, sculptured shapes, deep valleys and high peaks absorb one quickly in to the wilderness environment. 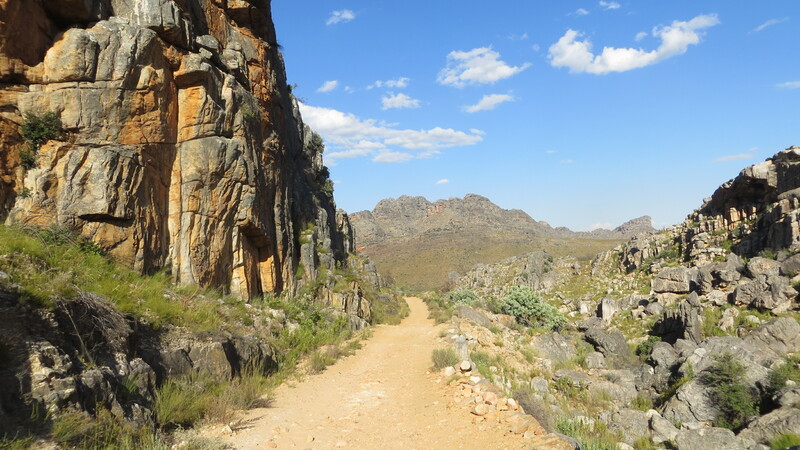 There is no formal hiking guide on this section, with Gert stopping his charges from time to time to allow walkers to catch up. 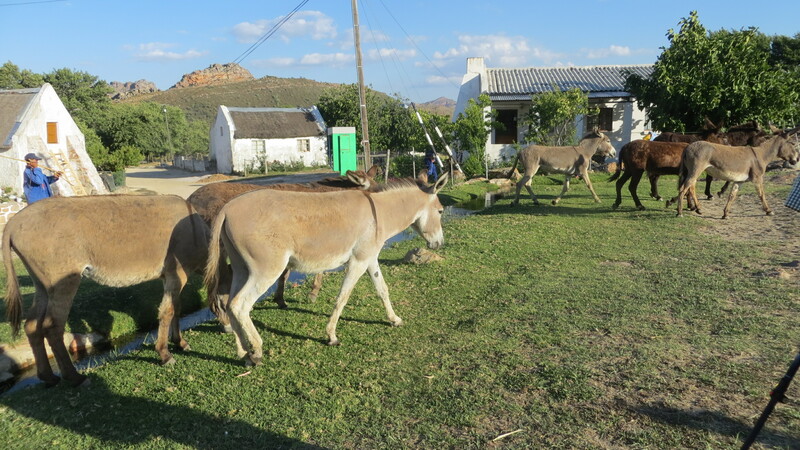 I opted to experience to donkey cart ride on a section of the trail to rest my legs and to enjoy Gert’s dry humour and his interaction with the animals. 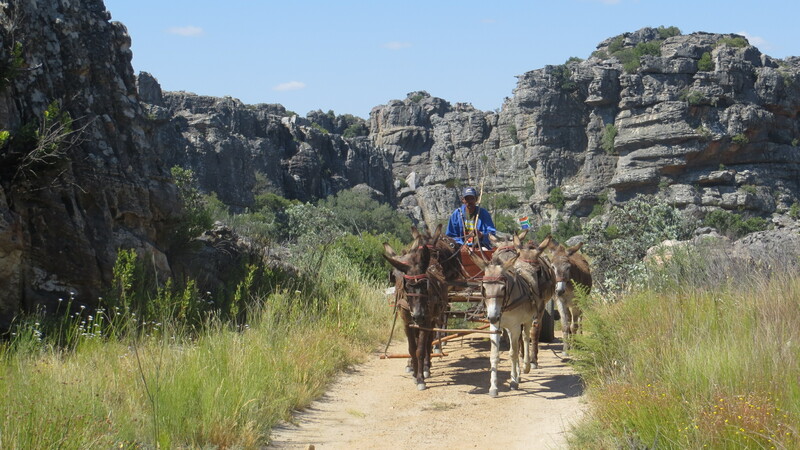 On a rocky road, a donkey cart is a bumpy, bone jarring experience and not the most comfortable form of transport. 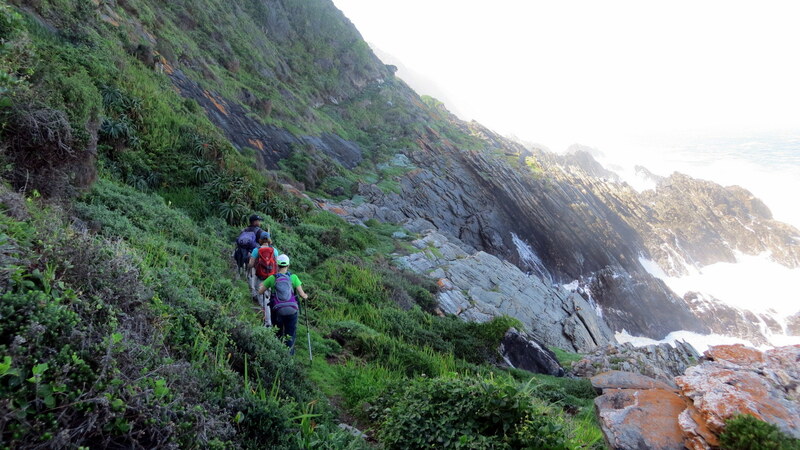 Most reasonably fit hikers will probably opt to walk most of the route. 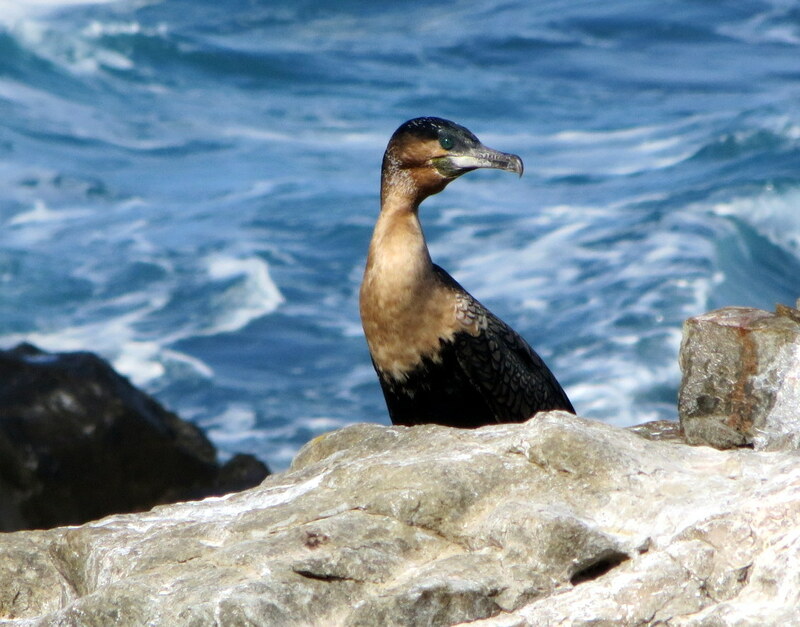 It is a bit of fun however and amazing to see how these hardy animals keep their footing, negotiating the rough terrain with some steep slopes, particularly on the downhill sections. 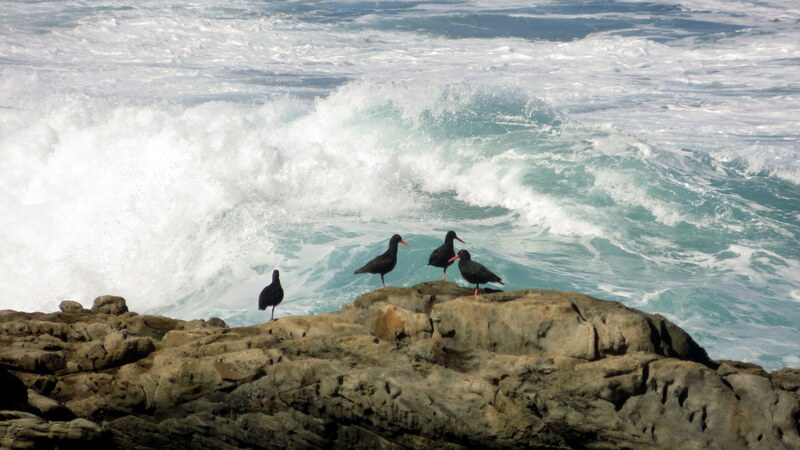 The Afrikaans term ‘stadig oor die klippe’ (slowly over the stones) comes to mind. 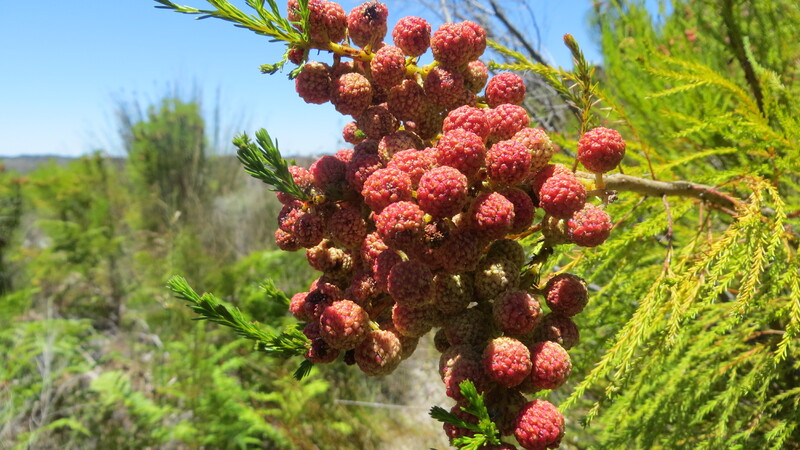 Being a jeep track the walking is reasonably easy and it takes about three hours to cover the 12km distance. 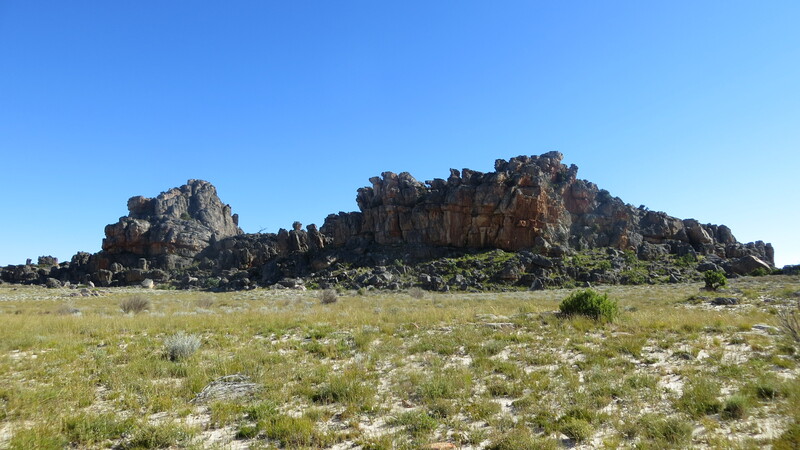 The Cederberg Mountains start about 200 km from Cape Town, are approximately 100km from one end to the other. 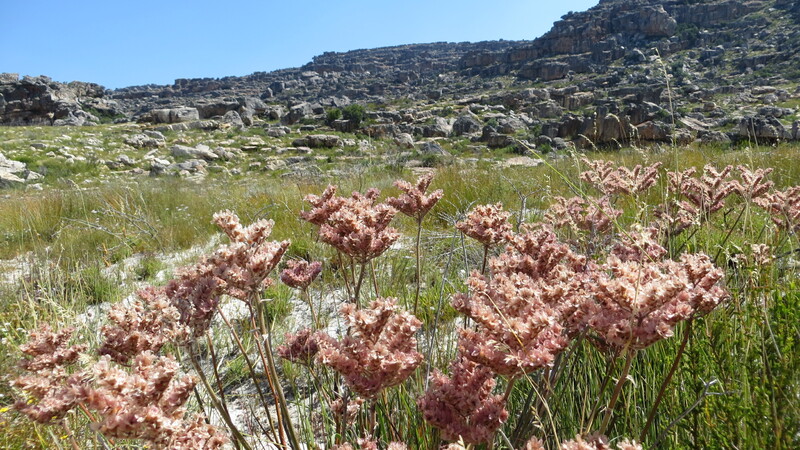 The Cederberg Wilderness covers an area of 710 km 2 (275 miles 2) a region known for its unusual rock formations, spectacular views, fynbos, rooibos tea and an isolation that is good for the soul. 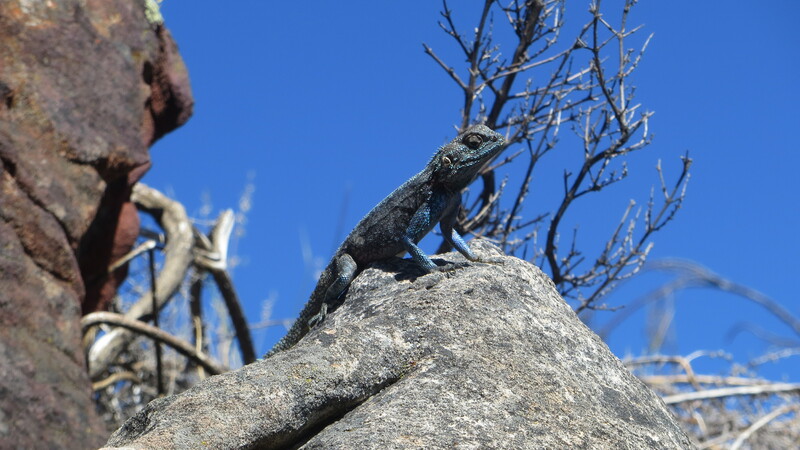 It is a hiker’s paradise, with trails covering all grades of hiking from short easy walks to strenuous overnight trail. 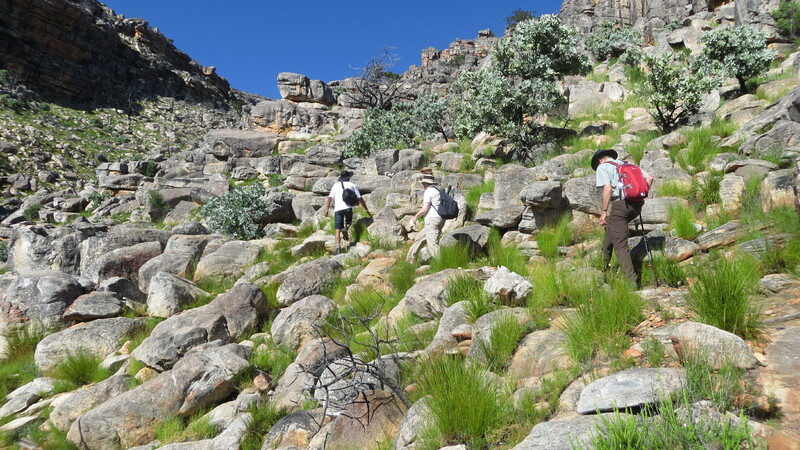 The Cederberg Heritage Route Trails are a group of six trails that can be walked in true Slackpacker style: your luggage is transported and meals provided – you need only carry your day pack and a guide shows you the way. 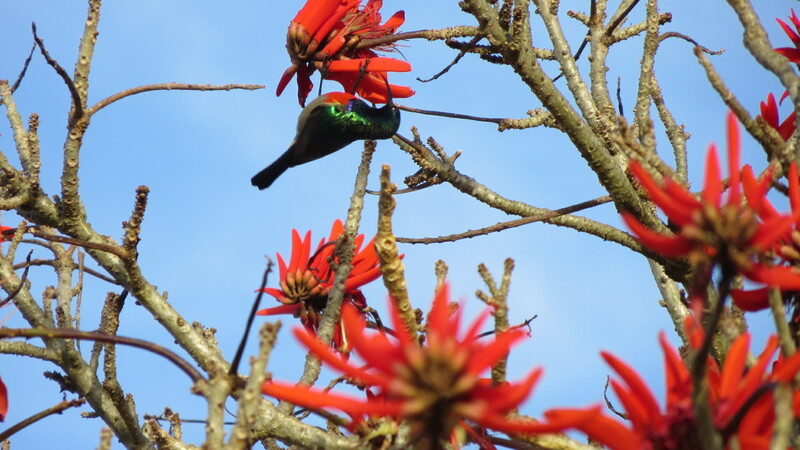 This does not mean that the hiking is not challenging, but the options mean that you can choose the level that suites you. 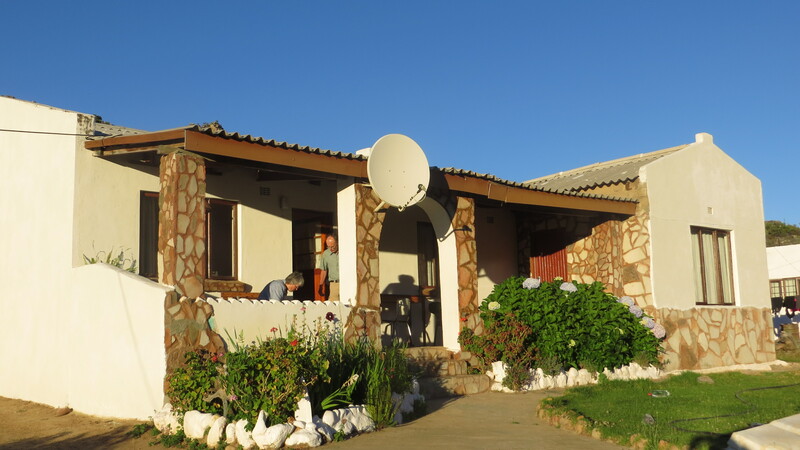 Centred in Clanwilliam, it is a community based initiative where you are guided by a local guide, with hospitality and logistical support provided by members of the local community. 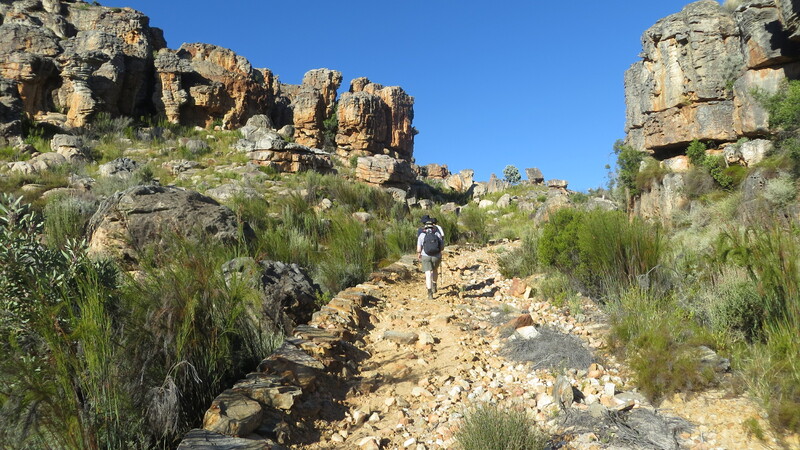 The Wupperthal Trail (one of the six), was long on my ‘Bucket List’ of trails and in December 2014 I had an opportunity to join a group on this route. 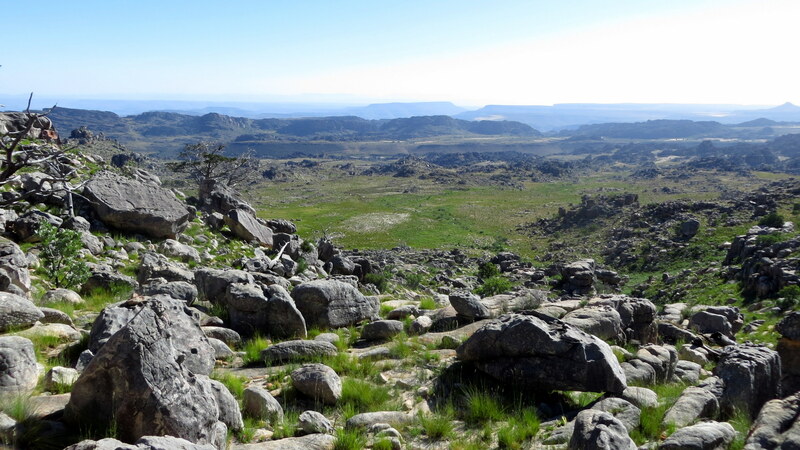 This particular section is known for the use of donkey carts as a means of transporting luggage and hikers if they so wish.